John Mosman’s radio story is the latest in a new series called Listener Posts, where I will place all of your personal radio histories. If you would like to add your story to the mix, simply send your story by email! My first QSL was from Radio Havana Cuba in 1962. I never was and not now a technical person around radios. The mysterious signals that came from all over the world just drew me in, all the different languages, music and the cold war rhetoric was simply fascinating. 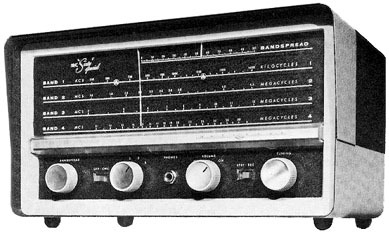 My first receiver was a National NC-60 which with a simple wire antenna out to a tree worked very well. In those days the international broadcast bands were crowded and full of exotic stations. 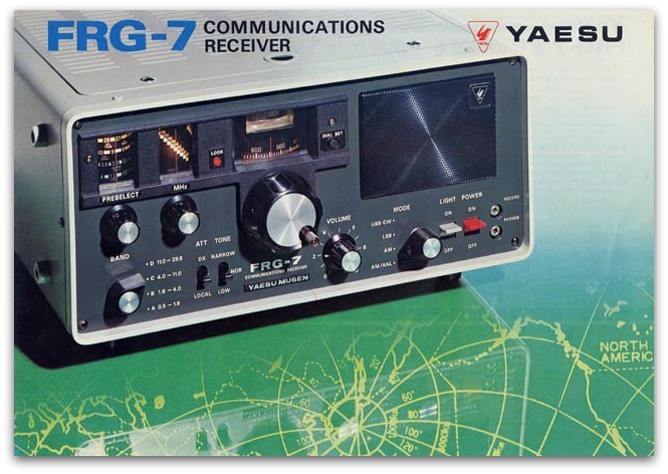 Popular Electronics gave me a SWL call signs and mine is WPE9GIZ. I do not have the certificate anymore but the call sign is burnt into my memory. As the years went on I upgraded receivers, first a Drake SW-4A then a Yaesu FRG-7 (Frog 7). To the Frog was added a digital frequency readout. I remember the controversy over Radio America and if the transmitter was actually located on Swan Island. The QSL card sure indicates it was. Over the years I owned a Kenwood R-2000 and an ICOM 71A. For several years now I have a ICOM R75 which does not get much use. As is the case for many, the house is full electronic noise from computers and cable boxes. Not being technical enough I am not sure how to stop it or erect an antenna in our small yard that would reduce the interference. I wince each time I learn of another SW broadcaster leaving the air and many third world country stations going to FM. However I still have all the QSL cards, all the great memories and you know, the National NC-60, now refurbished, is still in the “shack”. Many thanks, John, for sharing your story! It makes me happy to know your National NC-60 has been refurbished. We need to keep our antique radios in good working order. Those vacuum tubes will keep your radio room warm on cold nights! Regarding the electronic noise your R75 hears in the house, you might consider investing in a mag loop antenna like those in the Wellbrook product line. It’s pricey, but certainly works to eliminate QRM. Click here to read our growing collection of Listener Posts. This entry was posted in Listener Posts, Nostalgia, SWLers and tagged John Mosman, Listener Posts, Nostalgia, SWL on November 9, 2013 by Thomas. Thanks for the information, do you know of any commercial products that would accomplish the same thing? The most important task of a receiving antenna is not to harvest as much energy as possible. Such an antenna should provide a good signal-to-noise ratio. In other words: An HF receiving antenna needs not be big but it should be out of the electrical noise as far as possible. “Active” means there is an amplifier right at the antenna. Many use an active antenna without knowing it: If your car radio provides AM reception and the radio antenna is somewhere on the roof of the car, especially on th back, you have an active antenna. * “Electrostatic” active antennas have a short rod that is directly connected to an amplifier with an high-impedance/low capacity input. It is easy to build an antenna that covers .1 to 30 MHz. * “Magnetic” antennas are either selective with a resonant loop. Or they employ an amplifier with a symmetric, low-impedance input that should “short-circuit” the loop to provide a wide bandwidth. The selective variant is good for not-so-good receivers because it suppresses out-of-band signals. But it must be tuned – either directly or remotely. The electrostatic variant of an active antenna must be mounted outside of the electrical in-house noise. If you have a tree in your garden put it there. The rod should be in the clear but it need not be longer than 1 m or so. An magnetic active antenna only reacts to magnetic fields. Chances are that you can even use such an antenna indoors with good results.